You can purchase the 12-page literature guide for The Day the Crayons Quit for immediate download! Only $5.95! Duncan just wants to color with his Crayons, but in their place, he found a letters tied in string. The top one had HIS name on it. Letters for him? Who would be writing letters to Duncan? Is it his birthday? No. Is it Valentine's day? No. Are they letters from his Crayons? YES! Why would his Crayons want to write a letter to Duncan? He untied the string and unfolded the first letter. Guess who it was from? RED Crayon! Guess what it said! Then he opened the letter from his FAVORITE, PURPLE Crayon! Guess what it said! As he opened each letter, he became more surprised and concerned. How would he reply? Would they ever come back? How would he change if they did come back? For classroom connections, the 12-page Kids Wings Literature Guide for The Day the Crayons Quit will extend the fun, hone reading skills through multiple-choice, stimulate interaction through discussion, inspire problem-solving in a crossword puzzles, and lay the foundation for creativity as his Crayons come alive. Busy teachers love the many pages activities that support and extend The Day the Crayons Quit. You can depend on Kids' Wings to prepare your students for standardized testing by stimulating, challenging, and stretching their brains instead of lulling them to sleep with boring, mind-numbing drill-and-kill! 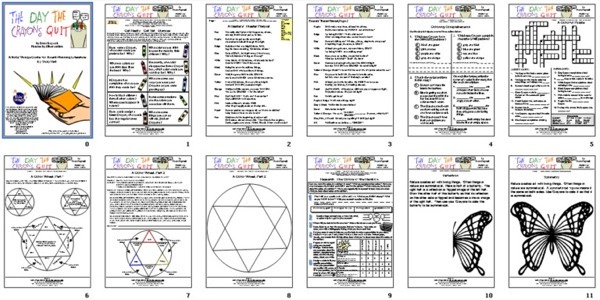 The Kids Wings 12-page literature guide is perfect for lesson plans, handouts, or projection on your SmartBoard for The Day the Crayons Quit is now available! The Day the Crayons Quit is included in the Kids Wings Trials and Courage Collection of literature guides for award-winning novels and intermediate-level picture books all on one convenient CD. Included are 848 pages of activities in 22 titles PLUS 18 "Jeopardy-type" games! 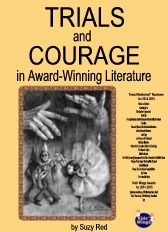 You can purchase a literature guide individually for around $5.95 - $12.95, but if you order Trials and Courage Collection, you can get 29 literature guides for only $25, less than $1 each! This is probably the greatest bargain in the USA, as long as quantities last! Buy The Day the Crayons Quit NOW!